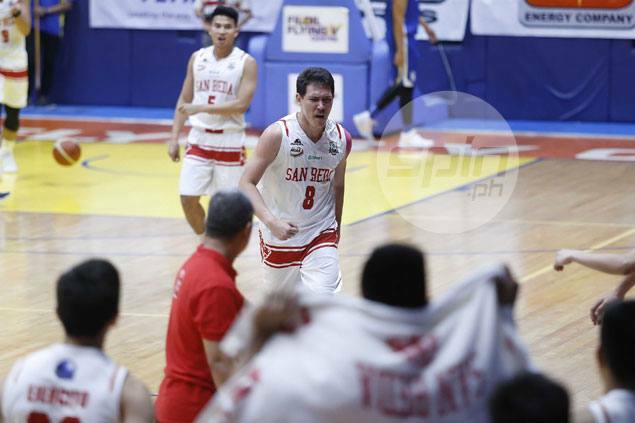 UP until the final minute of the deadline for the 2017 PBA Draft application, San Beda head coach Boyet Fernandez was still in the dark on whether his star guard was heading to the pros or staying one more year with him in the NCAA. Ever the prankster, Bolick decided to have a little fun with his coach. It was all a joke, though, and Fernandez can finally breathe easy knowing he’ll be having the 6-1, 20-year-old guard around for one more year. As the 5 p.m. deadline lapsed on Thursday, Bolick decided to stay put, shunning the possibility of a hefty payday as a PBA rookie who's projected to land somewhere in the high first round. Bolick, who many believe can stand out in the PBA with his size and high basketball IQ, said he simply can’t turn his on a school which gave him a second chance after spending his first few years in college basketball languishing on the La Salle bench in the UAAP. The six-figure contract in the pros can wait; for now, it’s all about giving back to the San Beda community. “Yung decision ko to stay is because I love the school. Kung hindi naman dahil sa kanila, di naman ako magkakaganito e. Uulitin ko, bench player lang ako pero tinanggap nila ako with all heart and helped me improve my game,” said Bolick, who’s averaging 12.3 points, 5.7 rebounds and 5.3 assists as San Beda’s lead guard this season. “Nakapunta ako sa States sa first time. Amerikano ako ah, first time ko nakapunta ng States because of them. Marami silang naibigay sa akin, from the security guard, janitors, teachers, lahat. Sobrang sarap sa San Beda. Minsan ka lang naman maging college player eh,” he added. 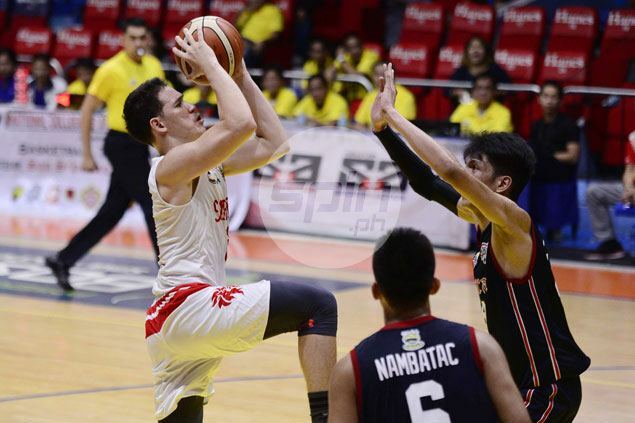 Some may not agree with Bolick’s decision, considering the shallow draft class and the momentum he’s riding after an impressive performance in the PBA D-League for Cignal. But for a player with a potential as big as Bolick’s, those things can wait. Giving back to his alma mater and getting a degree at the same time isn’t a bad way to spend the next year or so. “Yung family ko din gusto rin nila ako maka-graduate. One more year na lang kaya ko na mag-graduate, kung may bagsak bagsak ng kaunti, kaunti lang naman. Atleast kaunti na lang hahabulin ko kung magpa-draft ako,” Bolick continued. Fernandez, who himself is a registered nurse, is happy that Bolick considered the only advice he gave him. That is, to put importance on education. “Only advice I gave him is look at the future. Mas maganda pa rin na graduate ka. You still have one more year for San Beda but again, it’s really his decision,” continued Fernandez. With the PBA now far from Bolick’s mind, Fernandez is delighted to know that they can now focus on the task of repeating as NCAA champion this season - and perhaps a shot at a three-peat down the road. Fernandez can't be any happier.